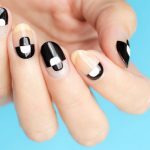 If you like edgy, minimalist nail designs you’re going to love this new graphic Black and White nail design tutorial. 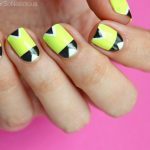 It’s relatively easy to do but you’ll need a good striping nail art brush and some nail art skills. My tip would be – don’t rush! Take your time to perfect the black outlines and the result will be amazing. Also, even though it looks better with a matte finish, if you prefer a gloss, go for it! Hit play to watch the tutorial now or watch it FULL screen here. 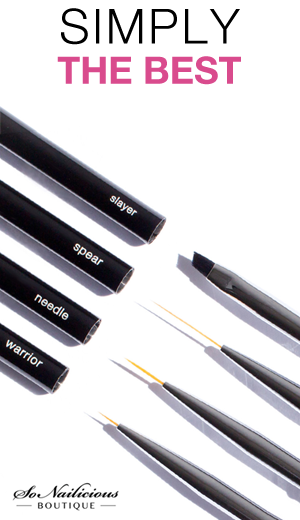 RuNail striping and clean up nail art brushes. 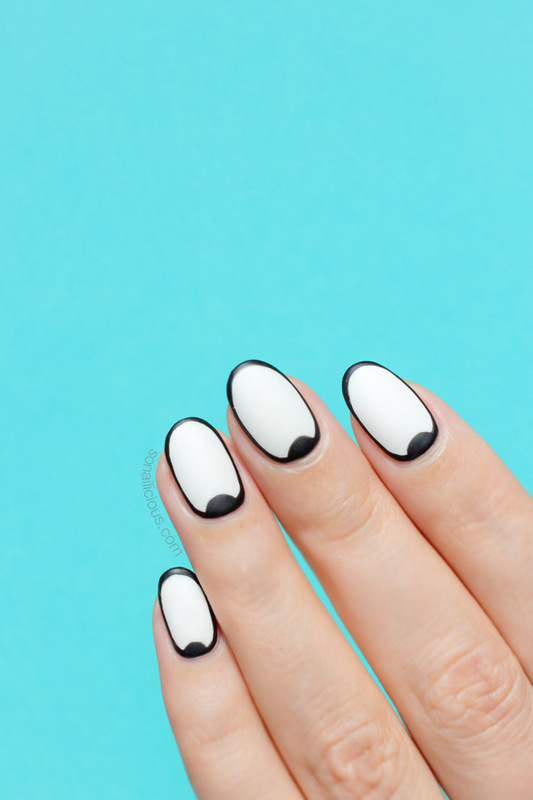 So… what do you think of this black and white nail design? Easy right? 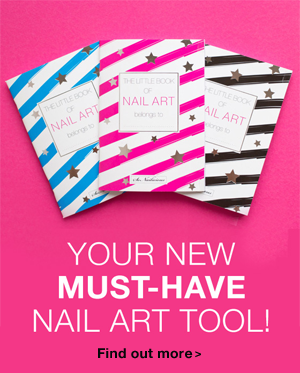 If you try this nail art, I’d love to see your recreation – Tweet or Instagram me a photo with the tag #sonailicious. 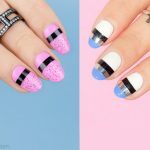 Want more black and white nail designs? You’ve got you covered! Here’s an easy one and here’s something more advanced. Then subscribe to the SoNailicious YouTube channel for a new video tutorial every Wednesday 2.00pm.